The ECAR Center is a "one-stop shop" for all automotive dismantling and recycling operations and provides comprehensive and up-to-date environmental compliance assistance. Its mission is to help reduce potential impacts on the environment from the automotive recycling sector through better availability of information regarding various forms of best management practices, pollution control and prevention and compliance with environmental regulations. Please ASK ECAR any environmental question you need technical assistance with by filling in the Contact Us Form below. Include your state for a more specific response. Frequently Asked Questions or FAQs are posted below the form for easy access to answers. I noticed that there are both federal and state regulations that impact my business. Which regulations do I need to follow? The short answer is both. The U.S. Environmental Protection Agency (EPA) is the regulatory body that writes federal regulations to implement the laws made by Congress. In addition, each state has its own environmental regulatory agency that writes, implements and enforces state laws. In many cases, EPA will turn over to the states the power to interpret and enforce certain federal laws. These state agencies may make the federal requirements more demanding, but generally cannot make them less so. In addition to adhering to the rules that apply to your particular state, there also are instances when counties and townships develop their own laws. This website seeks to provide the federal and state requirements, but you should inquire whether any county or local regulations also may apply. What is the ECAR Tour? The ECAR Tour, which is the centerpiece of the ECAR Center, is a user-friendly, interactive tool that allows users to quickly access the environmental requirements that apply to more than 20 specific activities associated with auto recycling, such as the handling of used oil or management procedures for waste tires. ECARcenter.org includes a state-by-state listing of such requirements for each state. How can I get more compliance assistance information beyond this site? There are numerous resources to help automotive recyclers stay in compliance with federal and state environmental laws. The Automotive Recyclers Association (ARA) is the national trade association representing the professional automotive recycling industry and is the first place to research more compliance assistance information. Beyond ARA, there are more than 30 ARA state affiliate chapters, as well as several industry consultants and educational programs. The federal EPA and the state environmental agencies maintain comprehensive websites that are easily navigated for more information. What will happen if my company is found to not be in compliance with federal or state regulations? There is little doubt that the federal and state environmental agencies are focusing their attention to automotive recycling facilities and salvage yards. Rightly or wrongly, they have targeted the industry for increased enforcement in the coming years. This site, which is a partnership between the Automotive Recyclers Association (ARA) and EPA, is designed to provide information to help auto recyclers comply with environmental regulations. Users of the site will in no way be at greater risk for enforcement, but non-users may lack important information that would otherwise keep them out of trouble. I try to follow the state and federal rules, but it's frustrating when I see other companies that don't. What should I do? ECAR Center is an environmental compliance assistance website, as opposed to an enforcement website. The mission of the site is to provide automotive recyclers throughout the country with useful and up-to-date information that will better equip them to comply with federal and state environmental rules. EPA does not monitor who visits the website. If you know of auto dismantlers that could benefit from the information in this site, please encourage them to visit the website. The industry has suffered from a poor stigma even though its contributions to society are immeasurable. Every dismantler should strive for 100 percent compliance with all laws and regulations. EPA is fining and jailing those that intentionally ignore their responsibilities. What is the difference between stormwater, groundwater, and wastewater? Stormwater is water from rainstorms and melting snow . When stormwater comes in contact with materials such as oils, gas, heavy metals, and solvents, it can become significantly contaminated. This contaminated stormwater leads to surface and groundwater contamination. Groundwater lies beneath the land surface. This water is an important natural resource and is used for many purposes, including drinking water. Half the water used in the U. S. for drinking water comes from groundwater. Groundwater may become surface water through springs or other such conveyances.Wastewater can be defined in two ways. "Sanitary wastewater" includes the water coming from lavatories/washrooms, showers, drinking fountains, etc. "Industrial wastewater" includes the water from floor drains in dismantling areas, discharges from aqueous cleaning, water from steam cleaning or equipment wash down, water used for floor cleanup in dismantling areas (e.g., mop water), or water from any other sources where it comes into contact with dismantled parts or equipment. Wastewater essentially is any water other than stormwater that comes into contact with auto recycling operations. Wastewater and stormwater are subject to different permit requirements. Can I discharge wastewater to a body of water, such as a stream or lake? In some states, this is permitted, but you will need a National Pollutant Discharge Elimination System (NPDES) permit. You cannot discharge hazardous wastes into any stream, lake, river, pond or wetland. If you obtain an NPDES permit, you may be required to frequently collect samples of your wastewater and have them analyzed at a laboratory. You will also have reporting and recordkeeping responsibilities. In no case can you discharge pollutants that would contribute to or cause an adverse impact on the receiving stream. In some cases, this means that you would be prohibited from discharging even very minute quantities of pollutants (in the parts per trillion range). What is a Stormwater Pollution Prevention Plan (SWPPP) and how do I go about creating one? To comply with federal and state stormwater requirements, and to obtain a National Pollutant Discharge Elimination System (NPDES) stormwater permit, automotive recycling facilities must prepare a Stormwater Pollution Prevention Plan (SWPPP). The plan must be updated regularly and maintained on-site. The components that must be included in your SWPPP are outlined in the ECAR Stormwater Pollution Fact Sheet. What is an SIC Code and what would be my company's code if I operate an automotive recycling facility? An SIC Code, or Standard Industrial Classification, is the 4-digit code that represents the economic activity of a company. Most users of ECAR Center, including salvage yard operators, auto recyclers and auto dismantlers, would fall under SIC code 5015. According to EPA's list of classifications, this code is described as "motor vehicle parts, used." Your SIC code is a particularly important factor in determining whether you need to have a stormwater permit. With rare exceptions, businesses that fall under the 5015 code are required to obtain a stormwater permit. In addition to using SIC codes to identify regulated activities, many regulations include narrative descriptions of those regulated activities. If the narrative description applies to your operations even though you may use a different SIC code, your operations most likely are regulated. I've heard a lot in the news about mercury. What car parts contain mercury and how do I handle them? Mercury, a highly toxic metal, is often found in hood or trunk light switches. It also can be found in anti-lock braking systems, active ride control or ride leveling sensors, high intensity discharge systems (headlights, tail lamps), and in virtual image instrument panels. Liquid mercury and mercury vapor are hazardous to both humans and the environment. Once released into the environment, mercury cannot be eliminated - it will stay in the environment forever. Removal of mercury switches from vehicles before crushing is an important part of managing your hazardous wastes. Failure to do so can be a violation of the law. See any of the state ECAR fact sheets for more information on handling mercury. Should I deflate a car's air bag(s) before dismantling? No. You should remove all unused air bags before the vehicle is scrapped or sent to a shredder. These unused air bags can then be resold as recycled products. See www.airbagresources.com and ARA's Guidelines for Use of OEM Non-Deployed Airbags. I have heard about the Automotive Recyclers Association's CAR and Gold Seal programs. How do these relate to the information contained in this site? ARA's CAR program was created to produce a set of standards for general business practices as well as environmental and safety issues and to provide guidance for member facilities in adhering to these standards. 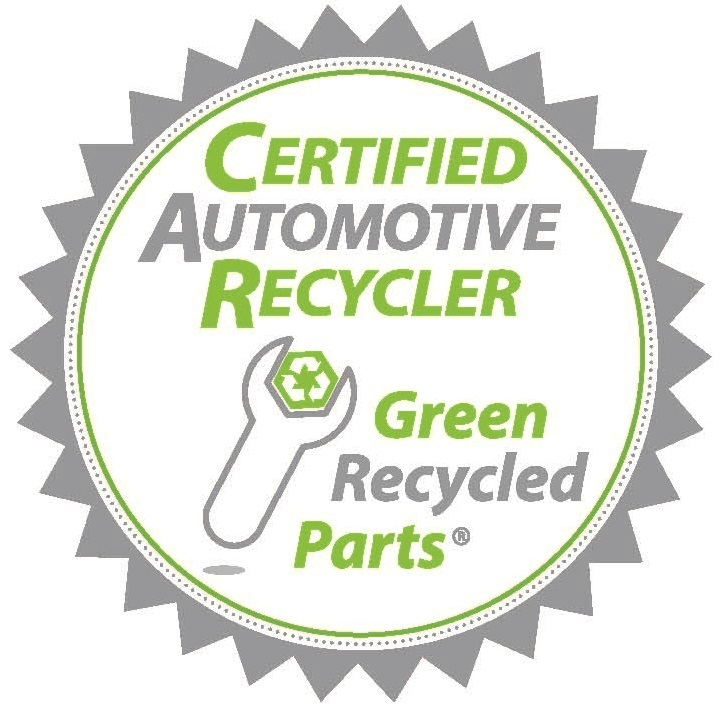 This program is one of the cornerstones of the association as the facilities participating strive to put forward quality service and parts for the professional automotive recycling industry. The ARA Gold Seal program, available only to those ARA members who have completed CAR certification, ensures excellence in customer satisfaction through improved customer service, quality parts with accurate descriptions, reliable on-time deliveries and written product warranties. 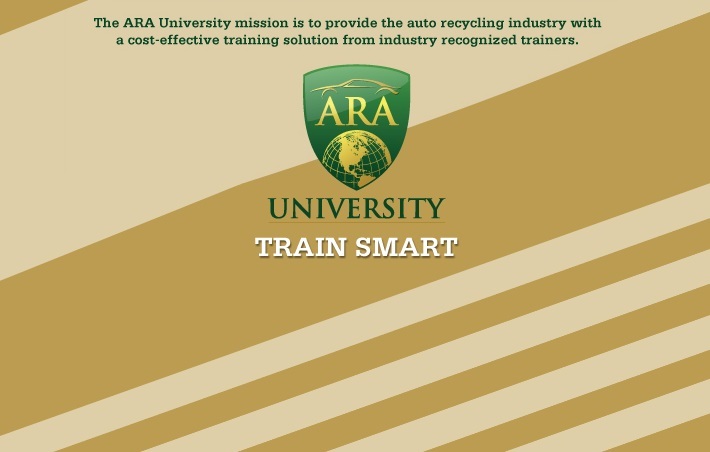 Established by ARA with an endorsement from the Automotive Service Association (ASA), the program allows recyclers to join forces to take a proactive stance to improve quality and increase customer satisfaction. While only ARA members are eligible to participate in the CAR and Gold Seal programs, ARA has designed this website to be accessible to everyone in the industry. 100 % compliance is the association's goal.